HashSet is sub class of AbstractSet class. Underlying data structure of HashSet is HashTable. HashSet does not allow duplicate elements. 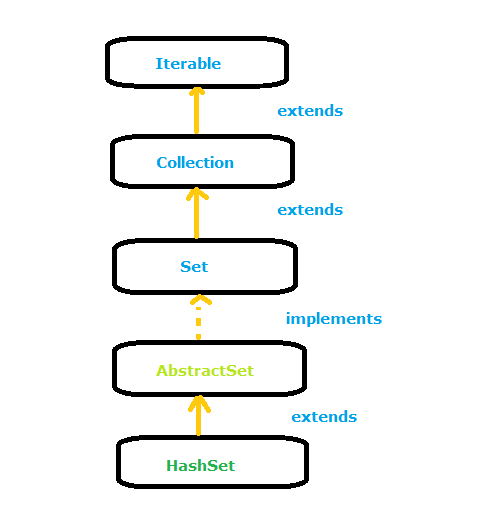 This constructor initializes the hash set by using the elements of the collection obj. Creates an empty HashSet object with given capacity.